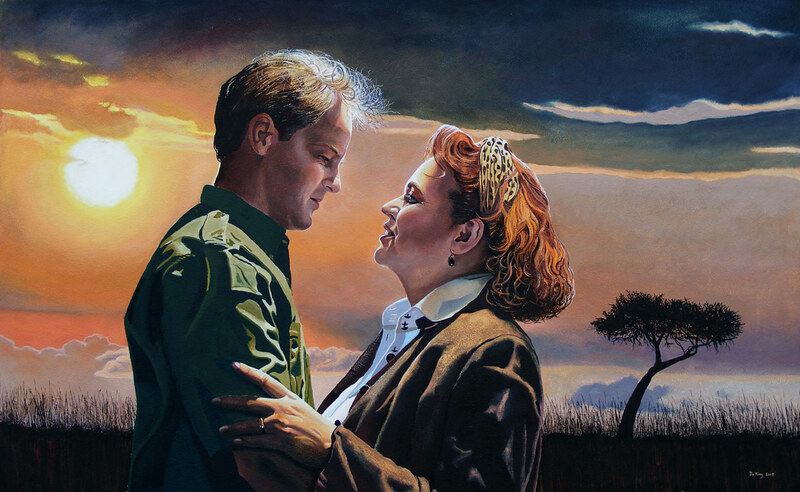 A commissioned portrait of a local Dutch couple. Much of their work centres on Africa and they liked the idea of being portrayed, as if in an old Hollywood adventure movie. We looked at various possibilities and eventually settled on a romantic scene from "Mogambo" (MGM 1952) as a starting point to the composition.